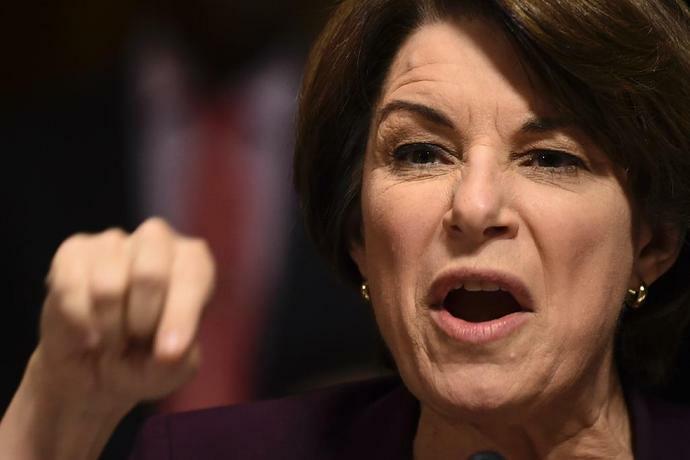 Minneapolis (AFP) - Democrat Amy Klobuchar was expected Sunday to join the 2020 White House race, adding a pragmatic voice from the heartland state of Minnesota to an ever-growing field of contenders hoping to unseat President Donald Trump. The senator's website promised "a big announcement," to be made at an outdoor rally in a park along the Mississippi River near downtown Minneapolis. There was little mystery about its contents: Klobuchar, 58, has been visibly building a national profile and fleshing out a campaign team as she works to stand out in an increasingly crowded Democratic field. Her Midwestern roots could help, particularly given her proven popularity among voters in Trump-friendly heartland states that will prove crucial to Democrats' hopes in 2020. Klobuchar, who was easily re-elected to a third Senate term in November, has never lost an election, boosted by an unpretentious demeanor and her roots in a region that prides itself on grassroots honesty and an ethic of hard work. At odds with that image, her own work ethic has emerged as a focus of criticism in recent days. Several former aides have been quoted saying she is difficult to work for, with bouts of "explosive rage" leading to exceptionally high staff turnover. While many of the high-profile Democrats in the race are in the progressive lane -- liberal Senator Elizabeth Warren formally declared her candidacy Saturday -- Klobuchar has quietly gained attention in Washington as a centrist. 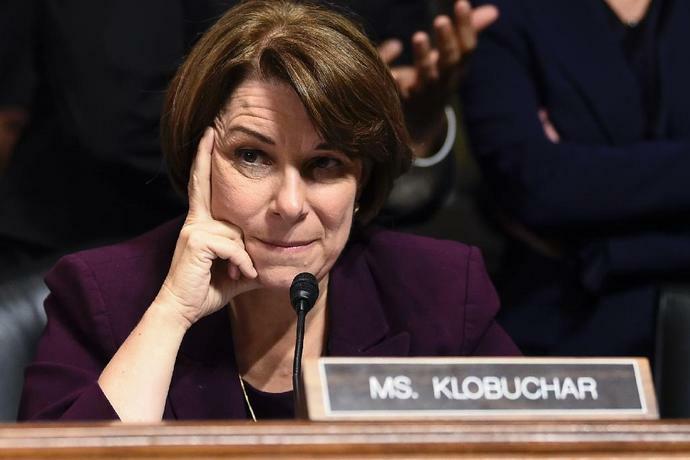 In a historically diverse Democratic field, Klobuchar is the fifth woman -- including four in the Senate -- to seek the nomination. A number of male senators are either running (Cory Booker of New Jersey) or considering a run (Bernie Sanders of Vermont, Sherrod Brown of Ohio and Jeff Merkley of Oregon). Klobuchar, the daughter of a journalist and a teacher and the granddaughter of a Minnesota iron miner, has a reputation as a fierce defender of the rights of the working and middle classes, consumers and women. Many at the hearing were taken aback when Kavanaugh, asked by Klobuchar whether he had ever blacked out, replied, "I don't know, have you?" After a brief back-and-forth, she brought the awkward exchange to a close, saying simply: "I have no drinking problem, judge." He later apologized to her.